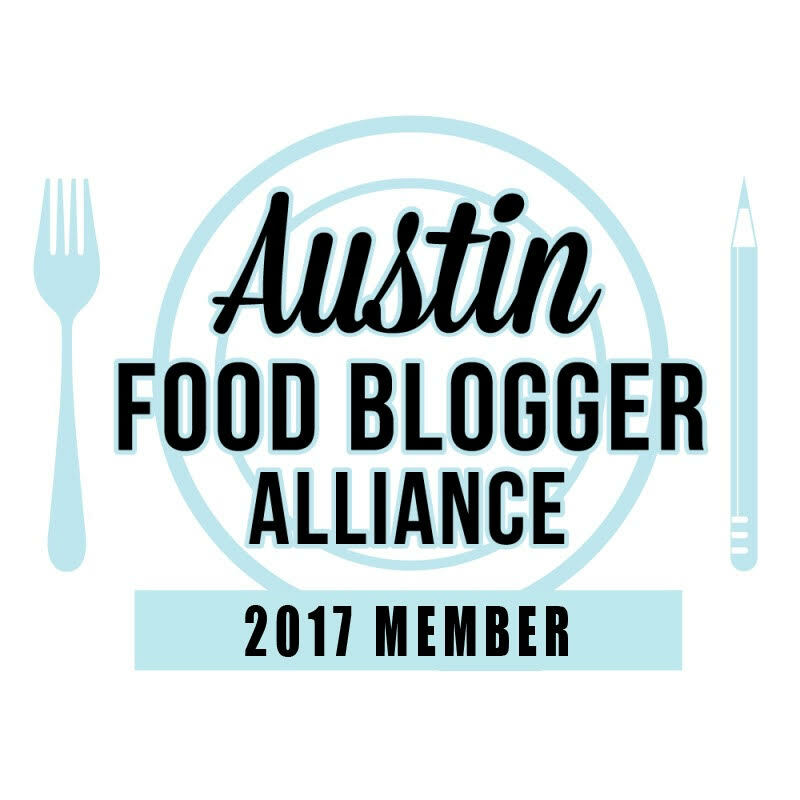 I’ve mentioned before that sometimes I get great recipes and ideas for a dish from Twitter. And this one is no exception. It comes to us from Jordan Fish, girlfriend of NASCAR driver Denny Hamlin. 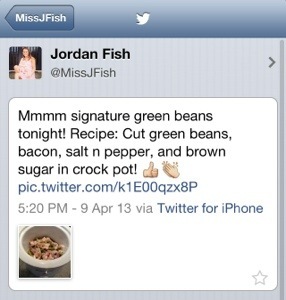 When Jordan shared on twitter her picture of green beans topped with brown sugar and bacon, I practically sprinted to get the ingredients. I’ve now made these a couple of times but always failed to get a picture before we scarfed them down. This is such a simple dish but the brown sugar infuses a great flavor to the beans. And you know how much I love me some bacon! Give this recipe a try the next time you need a quick side dish but don’t want to spend a lot of time prepping it. 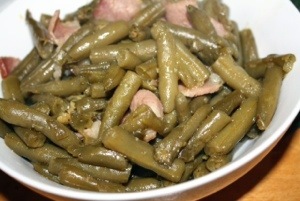 Place green beans and juice from one can of green beans in the slow cooker and set on low heat. Sprinkle brown sugar, salt and pepper on top. Add bacon slices and mix together. Cover and cook for two hours on low speed (or 1 hour on high speed).